1917. 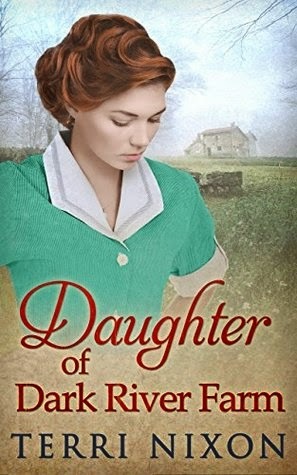 Kitty Maitland has found a safe and welcoming home at Dark River Farm, Devon, and is finally beginning on a path to recovery after her terrible ordeal in Flanders... until the arrival of two very different visitors threatens to rip her new little family apart. One, a charming rogue, proves both a temptation and a mystery—Kitty is still trying to push her hopeless love for Scottish army captain Archie Buchanan out of her mind, and this stranger might be just what she needs. But she soon discovers he’s not a stranger to everyone. The other newcomer, a young woman with a past linked to the farm, sows seeds of discontent and mistrust. Between the two of them, and the choices Kitty herself has to make, Dark River becomes a place of fear, suspicion and danger. Can it ever return to the haven it once was? This last instalment in The Oaklands Manor Trilogy enhances Terri Nixon's brilliant writing skills even more. The author drags the reader into another time, making them struggle and fight with the characters to survive while also falling in love. And love is what really gives them—and us—the strength to face any danger. Something terrible happened to Kitty while in the fields, something that unfortunately she can't let go so easily even now that she's in a safe place. She undoubtedly found a home in Dark River Farm, but the horrible and traumatic event that has 'broken' a part of her keeps giving her quite the nightmares, so much that she pushes away her hopes/dreams and the man she has been in love with since forever... But not thinking about Archie and his way to call her Young Kittlington—which gives you a pang of joy every time—is an impossible task, even when new 'distractions' come her way. Our heroine has certainly a lot to face, but she is a brave and strong young woman with a big heart that touches those of the readers. With the right mix of drama and romance, "Daughter of Dark River Farm" is a great conclusion of a trilogy I do not hesitate to recommend. Grab the first book now, fall in love with the characters and keep the read up until you find out how everything falls into place in this last, well delivered instalment!